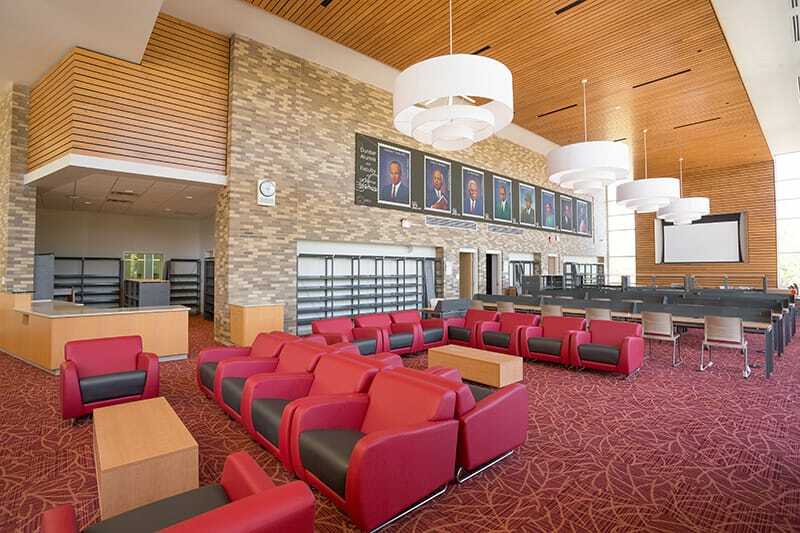 During construction of the new Dunbar Senior High School, more than $57 million in contracts were awarded to certified local, small and disadvantaged businesses. 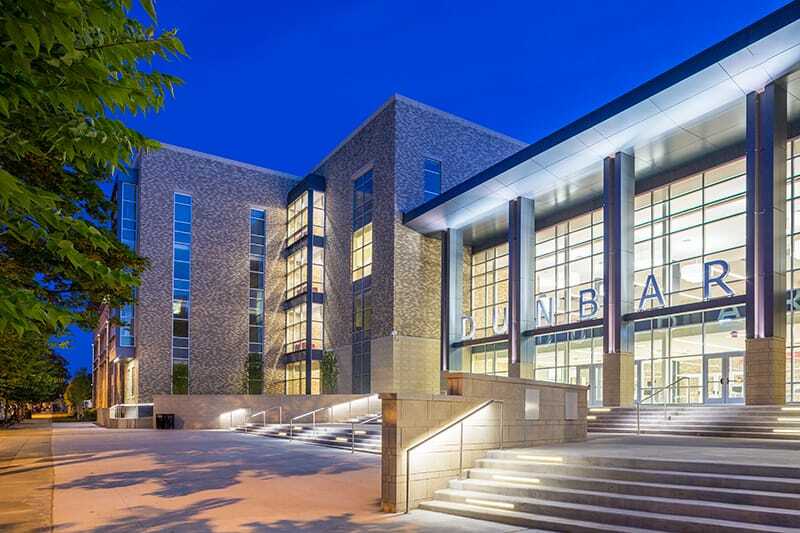 Dunbar Senior High School has a historic past as one of Washington, DC’s premier schools, and now has a future in the same role as the Smoot/Gilbane Joint Venture built its brand new facility on the existing campus. The existing 1970’s era school remained in operation during construction and was demolished after the new school building was completed in July 2013. Operations were safely maintained on the campus at all times during school construction. 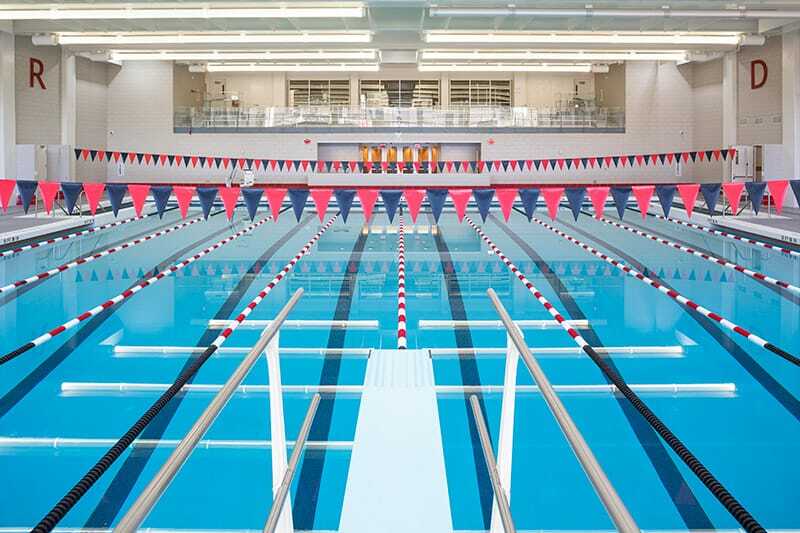 The project was delivered under a Design-Build contract, with the parties being Smoot/Gilbane, a joint venture, and EEK Architects and Engineers (now Perkins Eastman). The project has gained recognition as a prototype for success on a Design-Build, fast-track, urban project while at the same time earning accolades for exceeding the local and minority business and workforce results. 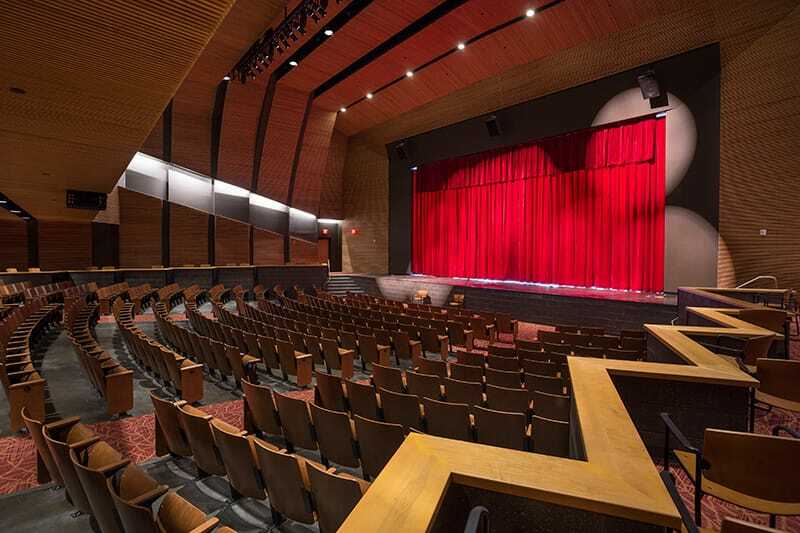 During construction of the new Dunbar Senior High School, more than $57 million in contracts were awarded to certified local, small and disadvantaged businesses. In addition to the businesses employed, the project far exceeded the stringent requirements for local Resident Workforce Participation as established by the District of Columbia. Learn more about Gilbane’s Small Business Outreach Programs. Dunbar installed 372 geothermal wells under the football field, with more going below the just-demolished 1978 school. Photovoltaic panels (1,750) are mounted on the new roof, and there are two 20,000-gallon cisterns for stormwater reclamation. Other green measures involve using low-E glass and low-VOC materials, plus recycling detritus from the 1978 building in off-site projects.